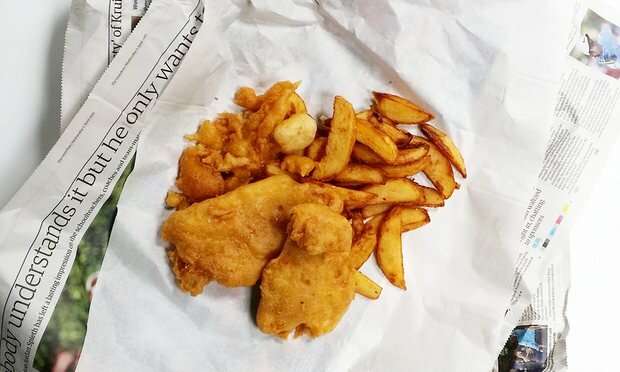 This Muslim Girl Bakes: Sunday Cravings: Fish and Chips! Sunday Cravings: Fish and Chips! Yesterday, we made fish and chips. Starting with two must-have accompaniments. The first was mushy peas. I love making them at home sometimes and used this recipe. Next, a proper chip shop curry sauce. I've only ever tried making this from a packet before and it wasn't very good. This time, I used this recipe and it was epic. Seriously, so good and definitely the biggest hit at Iftar. For the fish, we made two versions. First, for the spice-lovers, these spicy fish nuggets. They were marinaded in ground spices before gram flour, an egg and water were stirred through to make the batter. The second fish was a simple battered one seasoned with just salt and pepper. Pieces of white fish were dipped in. Before being fried in hot oil until crisp and golden. I used this recipe. So, the sides were ready along with the obligatory ketchup, vinegar and lemon wedges. The chips were homemade and ready to go. The fish was ready in all its golden brown glory! Homemade fish and chips for Iftar - I highly suggest you give it a go before Ramadan is over! Video: See a quick video of here! homemade fish and chips - get the full recipe here! 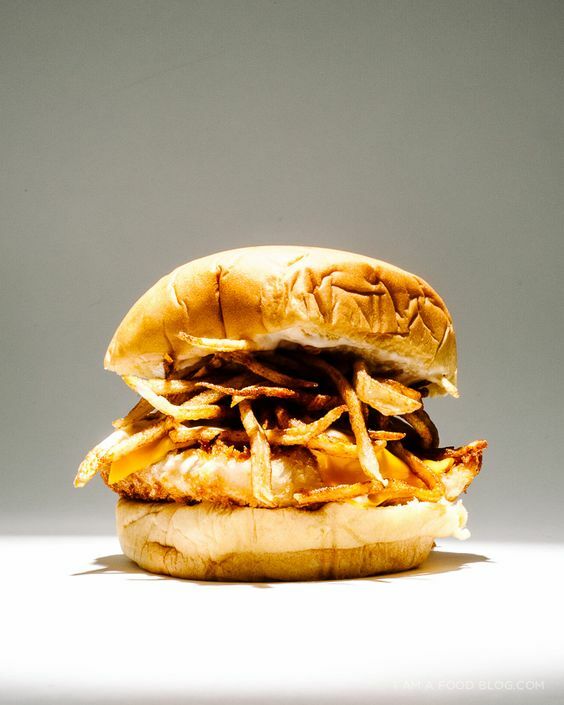 filet o' fish and fries burger - get the full recipe here! fish and chips - get the full recipe here! spicy fish nuggets with creole potato wedges - get the full recipe here! 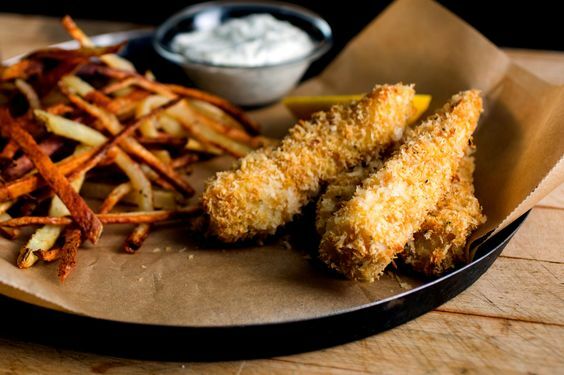 lighter fish and chips - get the full recipe here! 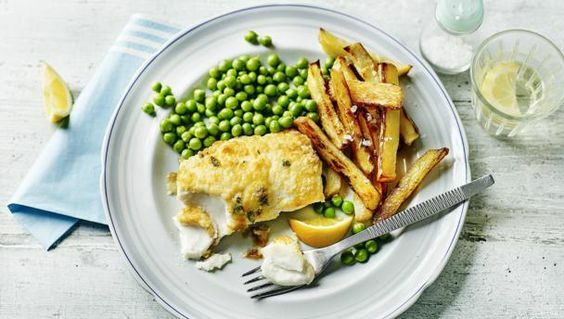 baked fish and chips - get the full recipe here! 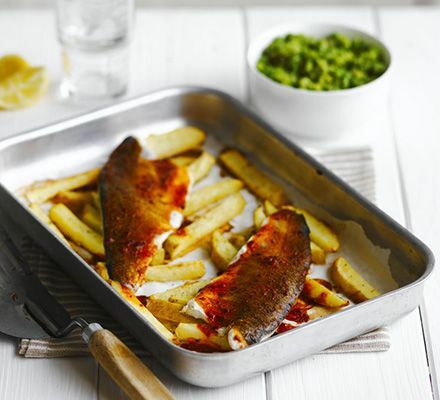 piri-piri fish and chips with spicy peas - get the full recipe here! spicy fish pakoras - get the full recipe here! june 2016: food + favourites!